We’re so excited, 9.3 has been released! It’s landed with a ton of new features, here’s some of my top new features to look for in Tableau 9.3. I’ve categorised these into three sections: the headline new features which everybody’s talking about; the ‘meat and potatoes’ new features which are functional enhancements that don’t necessarily make the headlines but are still very exciting; and the little new features – these are the small, lesser known improvements, typically found in the UI or in niche functionality. These are the kinds of features that existing Tableau users are going to absolutely fall in love with because they make everything that little bit easier in Tableau. Know what I mean? If not, have a look at this post about last year’s version 9.0 launch. Yes folks, finally we can ditch that nasty custom sql, as Tableau has built this right into the data source configuration window! See how easy it is to union your data below. It even accepts wildcard file inputs, too, so you don’t have to specify every filename, just point Tableau at a folder full of Excel or text files and it will take care of the rest. A long awaited ‘enterprise’ requirement has arrived to Tableau Server – workbooks and data sources published to Tableau server will now have a version history, so you’ll be able to revert back to a previous version in case you accidentally published that Friday-afternoon-messing-around version of your CEO management dashboard with the business cat picture on it. USA demographic data layers for 2016. USA ZIP Code updates for 2016. Postal code updates to UK, France and Germany. Postal code additions for 39 European countries, including Belgium, Italy, Netherlands, Spain, Sweden, Switzerland and more. Oh man, the number of times I’ve installed Tableau Desktop on a new machine and tried and failed to connect to my data, then realised it was because I was missing a driver. Thankfully those days are history now, for MS SQL Server, Postgres, MySQL and Amazon Redshift users. Now at installation time you get a neat little checkbox list where you can opt to include these drivers as part of the installation. Very cool, and bound to save some IT and user headaches! It goes faster. Do you need to know the details? Of course you do, but it’s boring to write about here, so I’ll let you read up on that in your own time. In summary though, memory management has been improved in the data engine so that extracts query and load a lot quicker. 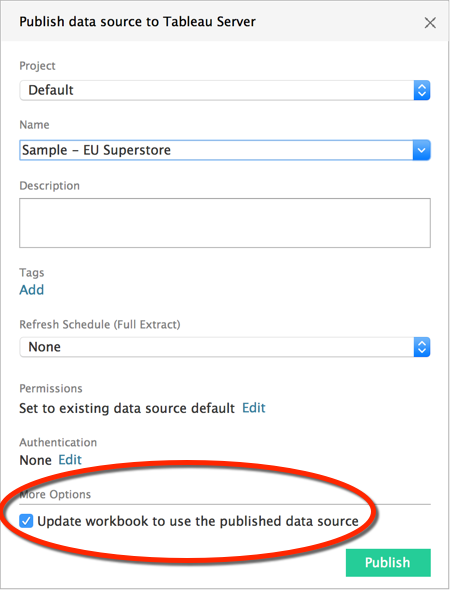 You’ll also notice that when you load a workbook on Tableau Server, Tableau connects only to the data sources that are required to display your data. This means that if there are multiple tabs in a workbook, Tableau only connects to the data sources for the current tab so that you can view your data as soon as possible. Lastly in Tableau Server, the different places where your data and visualisations are cached now synchronise more efficiently, so you should see even faster loading and interaction times with your visualisation the second time you open your workbook. I remember upvoting this idea on the Tableau forums a while back, when I got my brand new laptop with 4K resolution, and I’m delighted to see that support for high resolution displays has made it into the product in just a few minor release versions’ time. 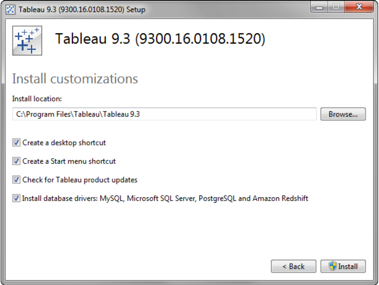 Those of you with a high resolution display on a Windows laptop will know of the frustrations here, but the word on the street is that version 9.3 brings native scaling to the tool and menu bars, data and canvas windows, and other elements, so that you can run Tableau in your hi-res display without needing Superman-like eyesight. Mac users? Don’t want to hear it. So this is a nifty little time-saver. When you load a dashboard on Tableau Server, each sheet in the dashboard will now render individually when it’s ready, as opposed how it works currently where the whole dashboard renders at once, resulting in a longer wait time to see any of the data. Subtotals with your highlight tables, Ma’am? No problem. I like to think of highlights tables as the first step (after leaving crosstab-land) on the journey into visual analytics, and this has been a consistent stumbling block on that journey, so I do know of a lot of folks who will rejoice at this. 9. Publishing a data source replaces the local data source with the published data source automatically. No description needed here. This will save the Tableau world millions of collective clicks, resulting in an increase in mouse longevity, leading to a decrease in mouse sales in the analytics space. Watch out Logitech, you heard it here first. Just like Google maps! Now when you use the scroll wheel on your mouse over a Tableau map, you will zoom in and out, without the need to hold down the control, or command key. Another nifty feature, when you double-click your map will now re-centre over wherever your mouse pointer is. I kind of wanted to finish on this one because if I had a pound for every time I had a user complain about not being able to refresh that extract that their colleague published, I would be Pat Hanrahan-wealthy right now. In summary, users with the Project Leader role on a project in Tableau Server will now have more control over the content within that project, namely they’ll be able to refresh extracts on demand, move content from one project to another (provided they are project leaders in both projects), and change ownership of content in their project. It’s a great step towards creating more of a content administrator role that sits between the standard publisher/interactor and the site/server administrators, and should help immensely when planning your tableau server deployment. This is by no means an exhaustive list and it is entirely subjective. You may have a special thing for parameters in initial SQL, or Kerberos authentication against your PostgreSQL database, in which case drop me a line in the comments below, or on Twitter @macdonaldj and let me know your favourite! Are you sure wildcard union was included in the 9.3 release? I haven’t found it? Steven, yes. However Tableau has included the wildcard union in the 9.3, it’s only possible to union sheets on the same Excel file. Otherwise, you can’t do it. Good, How to get Indian districts ? Nice review thanks for that!…..where do we stand with the Eircodes in Ireland any thing coming in pipeline do you know? Hi Martin, I’m not sure to be honest. You would need to ask Tableau themselves about that. They are adding more granularity to their geo data with almost every point version though, so I would expect it to be on the roadmap. And given Tableau have just opened a data centre in Ireland, I can’t imagine it’s too far down the line! Thanks Jonathan MacDonald, your article is simple and well explained, expecting more from you.